Why do certain cultures accept technologies while others react with extreme caution? Europeans laugh about Americans who “do not believe in climate change, despite the scientific facts” but at the same time become hysterical if their food has been carried next to something made with GMOs. Some people argue that the eugenics program of the Nazis is to blame for the anti-biotech movement in Europe, in that it sensitized Europeans against any form of “genetics.” It has definitely played a role, as there is a big stigma of talking about national socialism in German history, including eugenics experiments. Children learn the horrors of Nazi programs in school, and until recently there was a big taboo on discussing anything to do with genetic engineering. But politics aside, another factor I see that separates American enthusiasm for biotech from Europeans’ discomfort is the language context. Engineering has a connotation of knowing what you’re doing, and doing it in a very targeted manner. This is in strong opposition to modification or “changing,” which, to Germans, means randomly pressing levers and reorganizing screws and seeing what happens. In the German language, “genetic engineering” is not a phrase commonly known by the public. The public says words such as “genetically manipulated organisms,” “this is genetically manipulated” or “genetically changed or altered.” The word “manipulation” has an especially strong meaning, as it implies foul play in German. For example, elections can be manipulated. Now, if your language does not allow you to start with objective wording in the first place, how can objective opinions become regulations? Of course, contemporary cultural connotation can enhance such effects. For instance “natural” seems like healthy and blessed, while “artificial” implies it’s undesirable and unhealthy. I think Germans and Europeans fetishize nature. “But that’s not natural” is a killer argument and its meaning is equivalent is to “this is against God” or “this is bad.” This is then widely accepted. EU Directive 2001/18/EC is the law that bans deliberate sale or release of GMOs without extensive hoop-jumping. In July 2018 the European court of justice ruled that CRISPR-modified organisms also fall under this definition. But the law is process based, not product based. 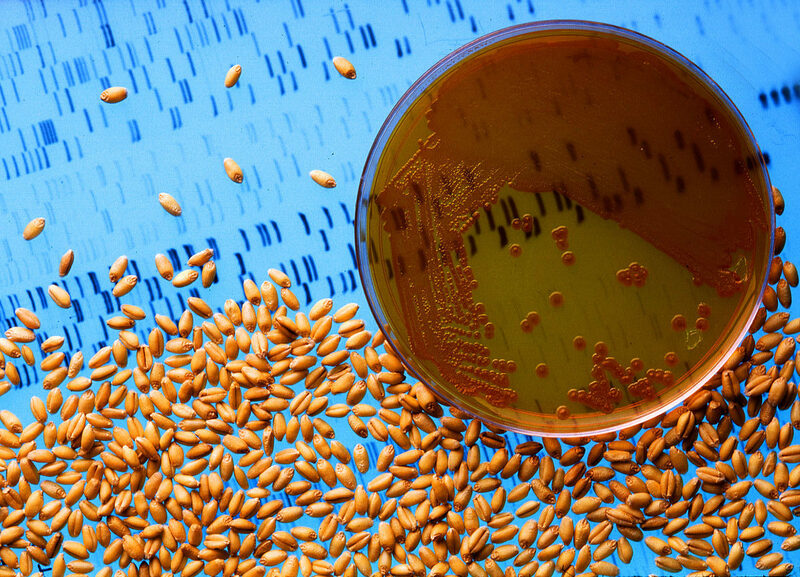 The only genetically engineered organism used in the EU is a bug-resistant corn in Spain. This is plain stupid, as one can use a high-fidelity version of CRISPR to make a single mutation and later read the DNA of the modified plant to make sure there has been no other mutations. Whereas with nuclear breeding, you may get hundreds of mutations and have no idea what downstream effects are induced and this doesn’t require safety testing. Meanwhile, nuclear radiation breeding is allowed, which causes unpredictable random mutations and lots of off-target effects. Also, the products don’t even have to be safety tested. But the public is more concerned about the unpredictable effects of genetically manipulated plants — which 50 years of science has shown to be safe. In order to be allowed to work with GMOs, a lab space must be certified by local authorities and get each experiment approved by the ministry individually. And while I wholeheartedly agree with the precautionary principle, it has to be used proportionally to the risks. If you entirely ban a technology like genetic engineering because you have irrational fears and want 99.99999999999% safety, then you also have to consider that non-GMO foods use more and more poisonous pesticides, consume more water, have less yield or rot faster, some have more mycotoxins in them, and so on. Risk avoidance must be in proportion to the benefits. And while being on the safe side is a good idea, entirely banning use of a technology despite scientific consensus that it is safe is a bad idea. In 2018 there was a drought in Europe. Because farmers could not grow enough crops to feed their livestock, the crops had to be imported from outside Europe. Legislation allows farmers to feed animals GMO crops, just not to grow them. Even here in America, objectivity has lost, the term GMO (genetically modified organism) is commonly used for products of genetic engineering techniques, while plants that have been mutated with radiation or chemicals can be sold as non-GMOs. The objective term would be GEOs for engineered organism and GMOs for mutation breeding. To end it with Wittgenstein, an Austrian philosopher, “Die Grenzen meiner Sprache bedeuten die Grenzen meiner Welt” (The limits of my language mean the limits of my world). Our language pre-defines the path that our minds will go, and gives us biases. It would be interesting to see if this language bias is true also in other fields – almost certainly it is to some degree. Next Longevity In Humans Is Probably Not Genetically Heritable… Yet?